YooCare.com is the leading online subscription-based IT technical support services dedicated to providing professional tech support for home users and small businesses 24/7 online. YooCare is an independent provider of on-demand tech support and not affiliated with any third party brand unless specified. YooCare provides small and medium businesses with a variety of technical and consultation services. Our ONE COMPANY- MANY SOLUTIONS, approach allows us to become the single source for all of your IT outsourcing, and technical support needs. Below you will find a brief summary of our expertise and solutions. YooCare.com provides remote technology services to consumers and small businesses directly via our YooCare.com portal and channel partners. Our live online tech support is conducted by highly qualified personal technology experts who are based in our help center. All of YooCare staff members have to be professionally trained and certified before helping customers. Our online experts have sufficient expertise in dealing with program files, processes, .dll files and registry entries, so your computer and mobile device 100% can be saved by us. Our professional technology experts have assisted over 60,000 consumers with their devices' issues. YooCare's largest customer base is the United States, followed by the U.K., Germany, France, Netherlands, Canada, Singapore, Australia and New Zealand. As most consumer technology problems are software related we can fix the problems remotely using our safe, fast, secure, giant technology – You just need to stay home watching your problems to be fixed by us. Our service is fast, affordable and more convenient than in-store repair. Our mission is to help our subscribers always smile and feel ease when any PC and mobile device problem occurs. 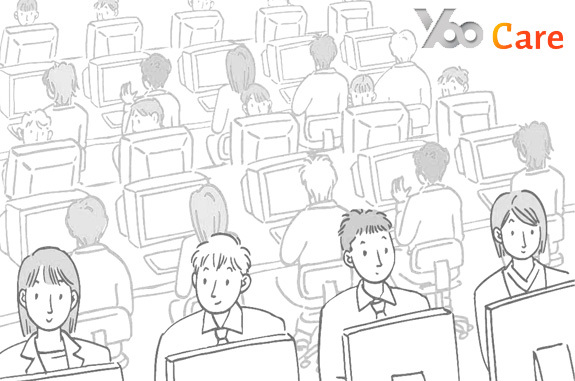 YooCare's customer satisfaction scores are amongst the highest in the technical support industry. We are the only service provider in the industry to provide 1-on-1 tech support 24/7 for the subscribers. YooCare provides 24/7 online service support via live chat, toll free phone or online support ticket. If you have any questions regarding our company and other requests like media kit, you can email us at info@yoocare.com.